Yesterday we showed you the latest release from Mt. Rainier Design, today we show you the shorts from their spring collection. The camo shorts ($195) are taken from the print they use as a lining on the majority of their products, this time using it on a sick herringbone fabric. 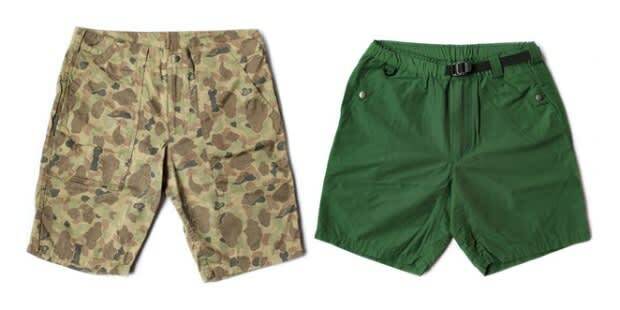 The green shorts ($185) are made of 60/40 fabric, which is used on their outerwear and backpacks, making this a comfotable and more casual alternative. Available now at Inventory Stockroom.